Slovenia is one of Europe’s hidden gems. The small nation is sandwiched between Austria, Hungary, Croatia and the Adriatic sea. A mostly mountainous country, Slovenia has breath-taking Alpine regions, lakes, vast networks of caves and an all-around picturesque feel. 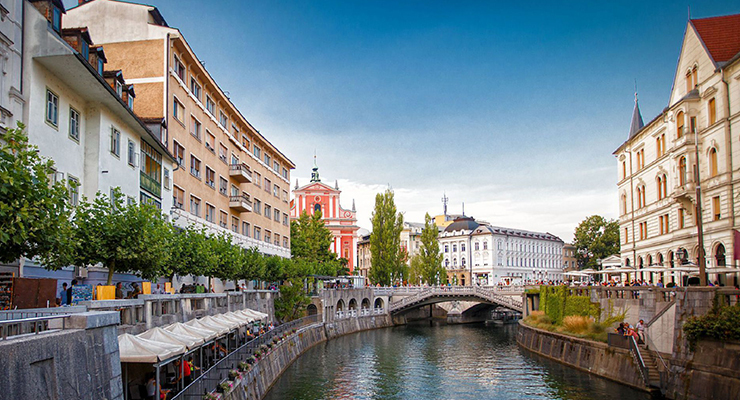 It’s capital Ljubljana is not a major European stop for most city breakers, and that wholeheartedly works in its favour. The city is charming and quaint and you will find loads to do there, it has a mixture of Baroque and Roman architecture, giving the city a truly unique taste. With a population of just 300,000 the capital has an intimate feel and is a friendly welcoming place for all tourists. The capital Ljubljana is an excellent place to start a trip to Slovenia. The city is famed for it’s exceptional opera and theatre scene, you will find a number of well esteemed performances at the cities opera house or any of the smaller theatres that you’ll find dotted around the city. Art and history are also well represented throughout the city, the National Art Gallery and Museum of Modern Art will satisfy the appetite of any art lovers and the National Museum is just one of the ways to learn more about the history of both Ljubljana and Slovenia. Outside of the capital you will find world renowned Alpine hiking trails encapsulating the gorgeous scenery of the nation. The country is traversed by meandering rivers and dotted with lakes so kayaking is another enjoyable activity you can undertake. The coastal region contains a vast network of caves as well as the bustling sea side town of Piran. Throughout the lower lying regions of the country you will find vineyards aplenty with a number of the more illustrious ones offering wine tasting tours. Make sure you fit in a visit to Lake Bled if you can make the time. The lake is overlooked by some of the highest Alpine peaks, its’ like something directly out of a fairy-tale. With a castle clinging to a cliff edge, crystal blue waters and a small chapel located on an islet at the centre of a lake, Bled is one of Slovenia’s top attractions with very good reason. Unfortunately you won’t get any direct flights from Dublin to Ljubljana or anywhere in Slovenia. However one stop over is all you should need, most likely in either Charles De Gaulle or Stanstead, the journey will only take somewhere in the region of 4 hours. Cheapest flights during the summer months will cost between €300-€400 return. In cities or major towns you will be able to get mega cheap accommodation from around €15 per night in youth hostels or pay €60-€200 per night for a hotel, depending on what standard you want. Lake Bled will be similarly priced. Getting around internally is convenient as the country has excellent rail and road infrastructure. Slovenia isn’t the first European destination that many people will consider, however with its captivating scenery and invariable charm it is well worth planning a trip there. 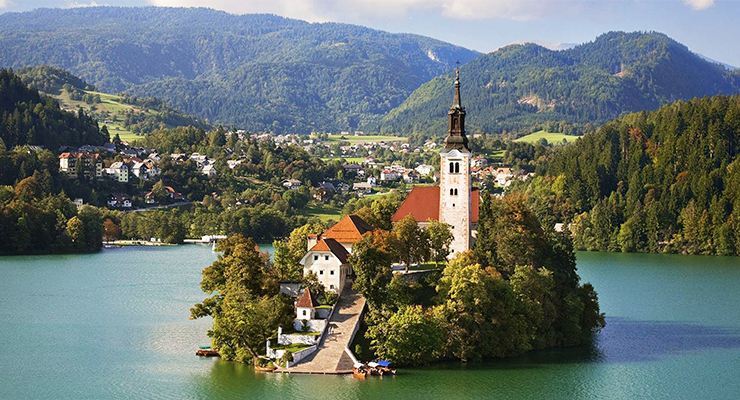 We would highly recommend the effortless charm of Lake Bled as a reason in itself visit Slovenia. Interested in more of our ‘Off The Beaten Track’ destinations? Why not have a look at the rest of the series: Jujuy Province in Argentina, Olomouc in the Czech Republic, Cameroon, Kyrgyzstan, Urumqi, China.